There are a number of reasons why you might want to tint your eyebrows. If you dye your hair, it is a good idea to tint your eyebrows so they match up. Or maybe you just have light eyebrows and you want them to be a little bolder. It's fairly easy to do, but it makes a big difference. Also, doing it by yourself will save you money and a trip to the salon. Read on for tips on how to do this task. Buy a tinting kit. Go to your local drugstore or beauty supply store and find an eyebrow tinting kit. This kit will come with everything you need to tint your eyebrows. Think carefully about what color you choose. The darker your hair, the darker the shade of tint you should get. Blondes shouldn't get black eyebrow tint, as the contrasting shades would clash. Shape your eyebrows. It's advised to shape your eyebrows before you tint them. Use whatever method you normally use to shape your eyebrows, be it trimming, tweezing, waxing or another. 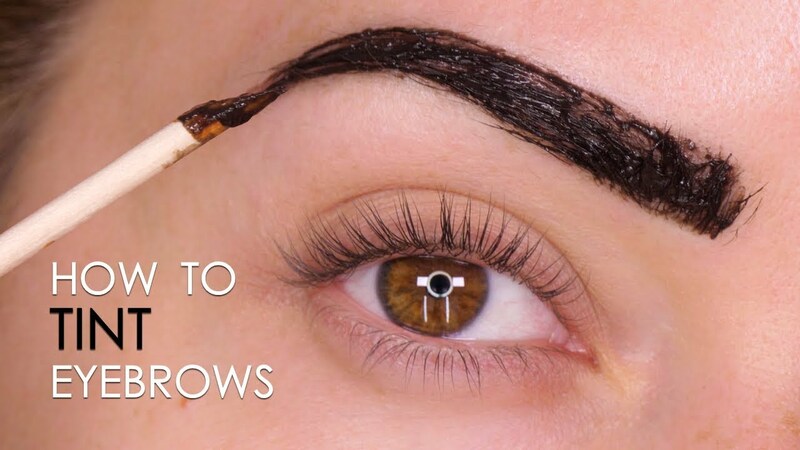 Do this a day before you dye your eyebrows. Clean your eyebrows. Use makeup remover to remove any makeup from your eyebrows and gently clean them with a damp cotton pad. Brush them down with a spoolie. Apply petroleum jelly (optional). To prevent the tint from dying your skin, apply petroleum jelly on the skin around your eyebrows. Mix the colors. Eyebrow tinting kits vary on what they come with and how they are mixed. Follow the instructions on the kit you've chosen to mix the dye and the conditioner. Some kits come with a black and a brown paste. If you want darker eyebrows, put a dab of each into a paper cup. If you want lighter eyebrows, only use a dab of brown. Also add as many drops of eyebrow tint developer or conditioner as recommend by the kit instructions, then mix. Your kit might come with its own mixing cup. If so, you can use that. Otherwise, you can use any small cup or plate. Some kits will come with a spatula or wooden sticks to mix the tinting components. You can either use that or a small brush. Apply the tint. Brush the tint onto your eyebrows using an eyebrow brush. Use whatever application device the kit came with, most likely a wooden stick. Thoroughly coat your eyebrows from the inside to the outside corner. First concentrate on the center of the brow, then go back over, focusing on the smaller hairs along the edge. Remove excess tint. If you didn't use petroleum jelly to avoid getting tint on your skin, you can use a q-tip and some eye makeup remover solution to clean up the tint around your eyebrows. Slowly drag the q-tip along the edge of your brow to give it a nice, clean line. Apply tint to your eyelashes. This step is optional. If your eyelashes are light colored, you might want to apply some of your tint to them so that they better match your soon to be tinted brows. Take your spoolie and bend it so that it's angled. Then dip it in your tint and apply it slowly to your eyelashes, being careful not to get any in your eye. Wait for the tint to set. Read the instructions for your kit to determine how long it takes, then set a timer, and wait. Timing the wait is very important if you want your brows to match. Wash off the colour. Once the colour has set, remove it using a wet cotton pad. Again, start from the inside and work your way outside. Remove the tint thoroughly, making sure none remains on your eyebrow hairs. You'll need to apply some pressure. 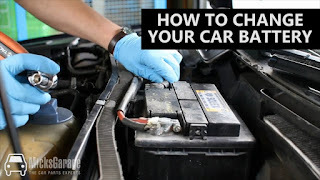 Once the tint is gone, remove the petroleum jelly as well. Repeat the process with the other brow. Once you've removed all the tint from the first brow, start over on the second brow. Make sure you apply the tint just as thoroughly, wait just as long, and remove it completely.